Romantic Meals for Two at home is what I’m pushing for Valentine’s Day this year. If you haven’t made a dinner reservation at a restaurant yet, let me stop you right there. It’s just not necessary! You can cook at home and make something totally delicious for your dude (or your lady) at home and skip the restaurant. Plus, when you make romantic meals for two at home, you can wear sweatpants and end the night on the couch watching Netflix. Because nobody really likes wearing heels or a dress, right? 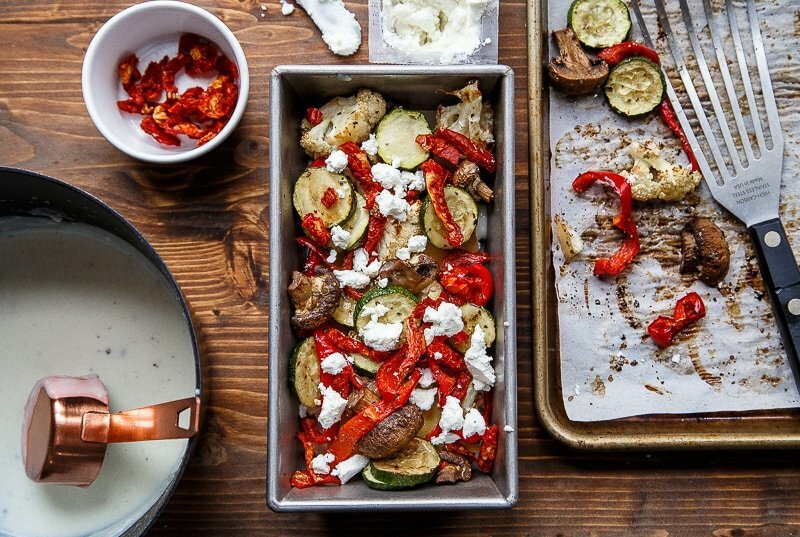 It’s best to practice one of these romantic meals for two at home before the big night, ok? It’s easy to do since the recipes only serve two. Enjoy it for dinner by yourself one night and pack it for the lunch the next day. This way, on the big night, you can cook with ease and eliminate the stress and worry of the dinner coming together perfectly. Practice makes perfect people, ok? 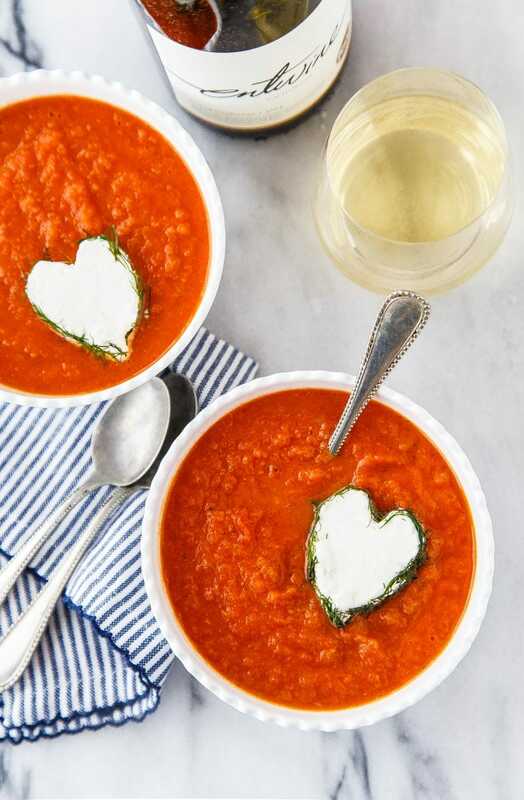 First, I happen to think this roasted tomato soup with goat cheese hearts is the cutest thing since, well, the last thing I cut into heart shapes. If you’re not a goat cheese lover, just use a slice of cheese that you like and a heart-shaped cookie cutter. 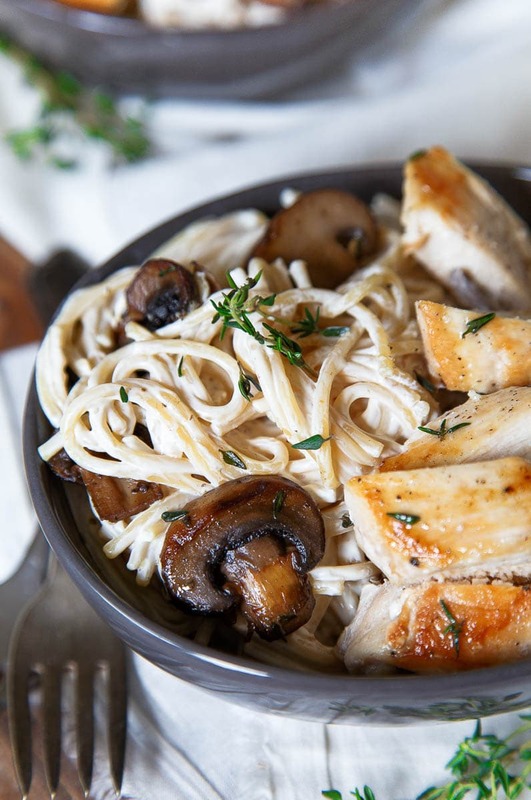 This recipe for Engagement Chicken Pasta is the one that I want you to strongly consider making, but only if you make it ahead of time and practice, ok? It can be a bit of a trick to get the timing right on this recipe. None of the steps is difficult, but the hot pasta needs to hit the cream cheese after the mushrooms are done sautéing. Practice making this dish one or two times before Valentine’s Day so you’ll know exactly what you’re doing. Next up, I recommend this Coq au Vin for two. Because anything French is guaranteed romantic, right? Coq au Vin is easier to make than it sounds–it just has to simmer for one hour. While everything simmers, think about what you want to serve the meal over. I included a recipe for mashed potatoes for two, but you could also serve it over buttered noodles or toasted baguette slices. 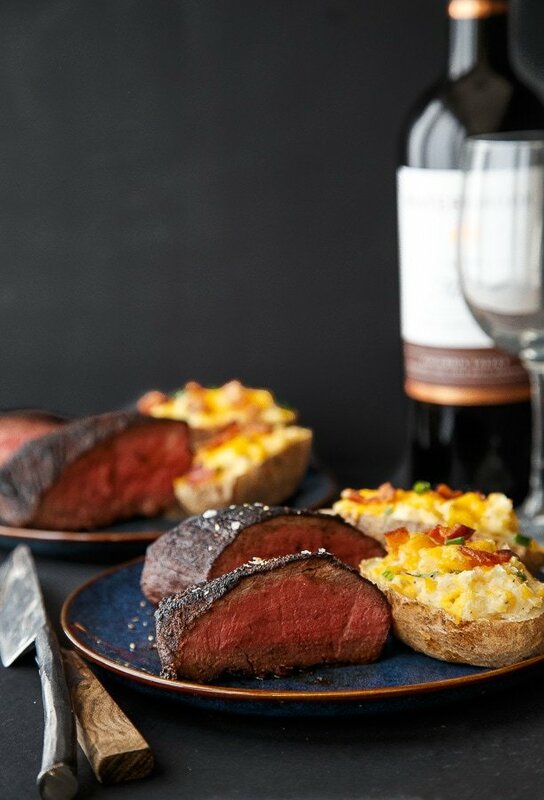 If you think steak is the way to go on Valentine’s Day, you’re probably right! 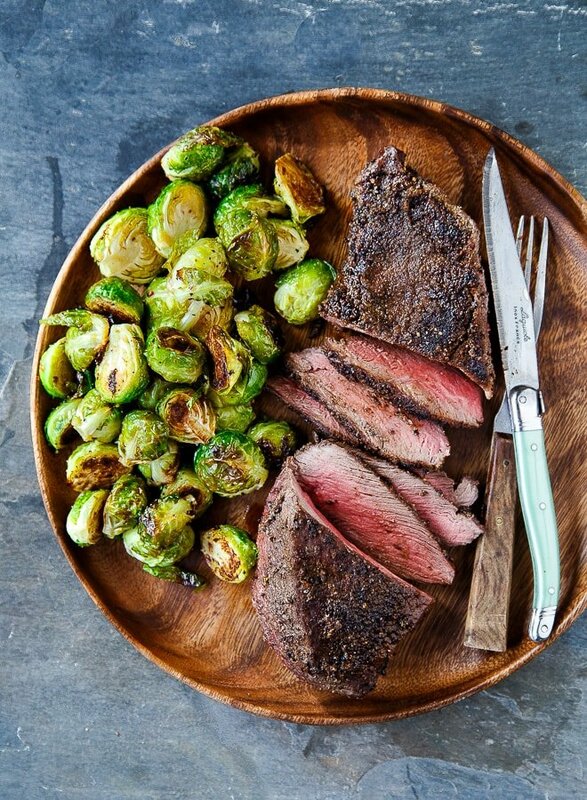 This recipe for Cowboy Steaks with Brussels Sprouts is shockingly delicious because we’re going to use coffee in the steak rub. Fun, right? If you’re not a Brussels Sprouts fan, substitute potato cubes, carrot chunks, or any other root vegetable you like. Continuing with the steak theme, I have to mention my cocoa-rubbed filet mignon for two. Yep, we’re putting chocolate on our steaks! This method for cooking steaks (searing on the stove top and finishing in the oven) will guarantee you the perfect steak every time! Using a meat thermometer helps, too! If you want a main dish with meat that is hands off, this honey mustard pork tenderloin is a sheet pan dinner with vegetables on the same tray! 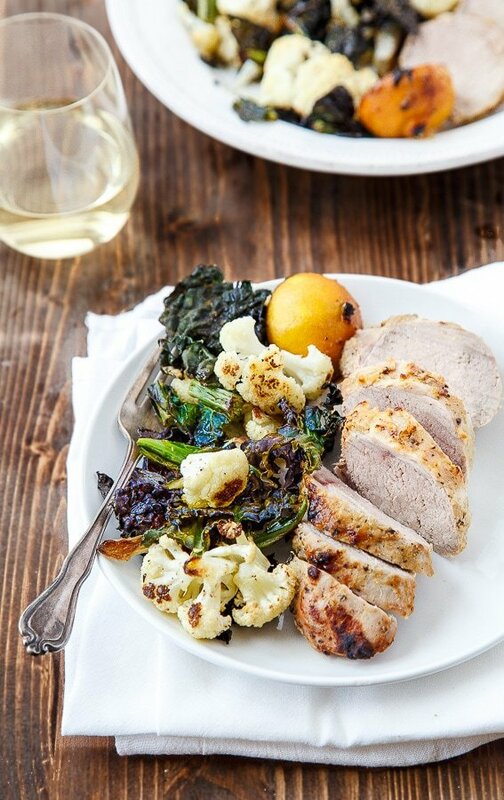 The kale crisps up in the oven and the cauliflower roasts perfectly. The honey mustard sauce on the pork is incredible! If risotto could get any better, it’s with brown butter stirred in at the end. This is one of my favorite romantic meals for two at home. I send my dude outside to grill the artichokes while I do the rest. 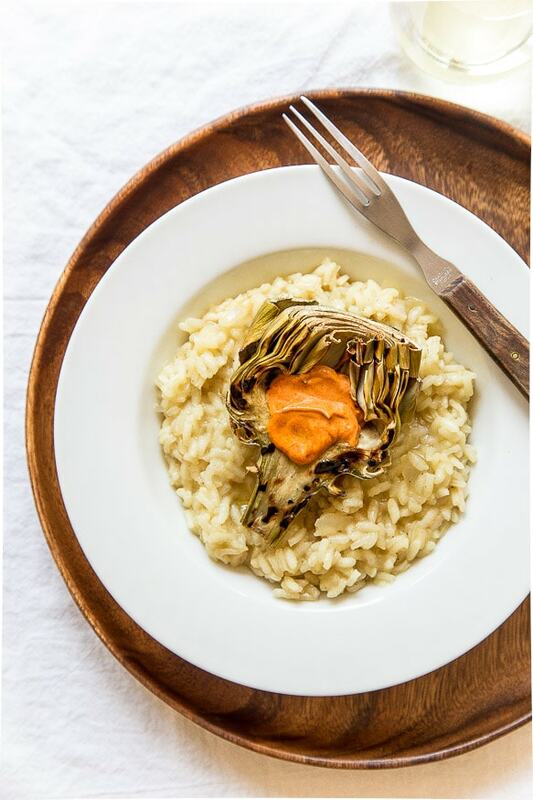 Brown Butter Risotto with Grilled Artichokes is what I want for Valentine’s Day! I do this cool thing where I make vegetable lasagna for two in a loaf pan. It makes two big pieces of lasagna to enjoy and not 17 pieces leftover to eat for lunch for a week. Fun, right? Easily, the most well-accepted dinner for two in my house. Who doesn’t love crispy chicken over a pile of spaghetti and tomato sauce? 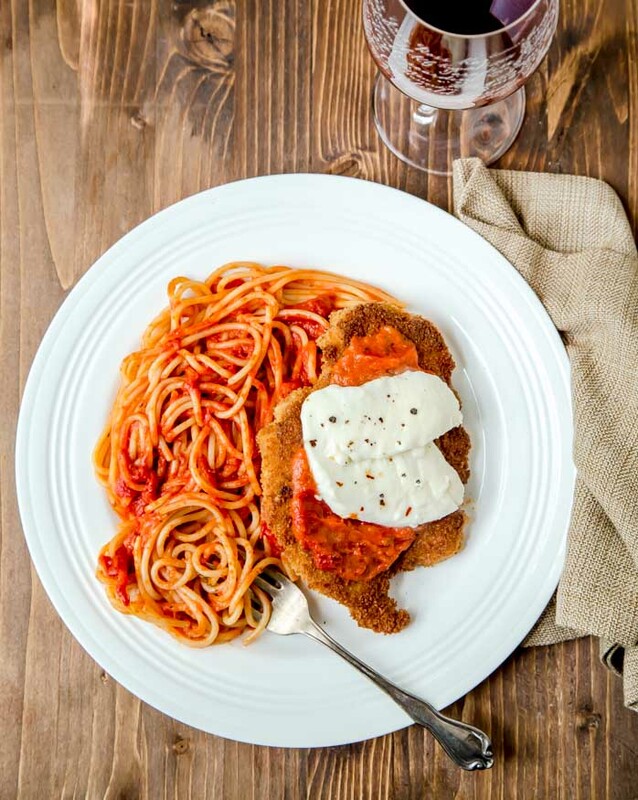 Make this Chicken Parmesan for Two for Valentine’s Day and it will become your new date night dinner for two! Because nothing says love like homemade french fries! This recipe for homemade french fries is so weird and wonderful, you have to try it! It never seems like it’s going to work, but then it always does! I make it at least once a month! Don’t forget the French Burgers made with chicken and Brie cheese. 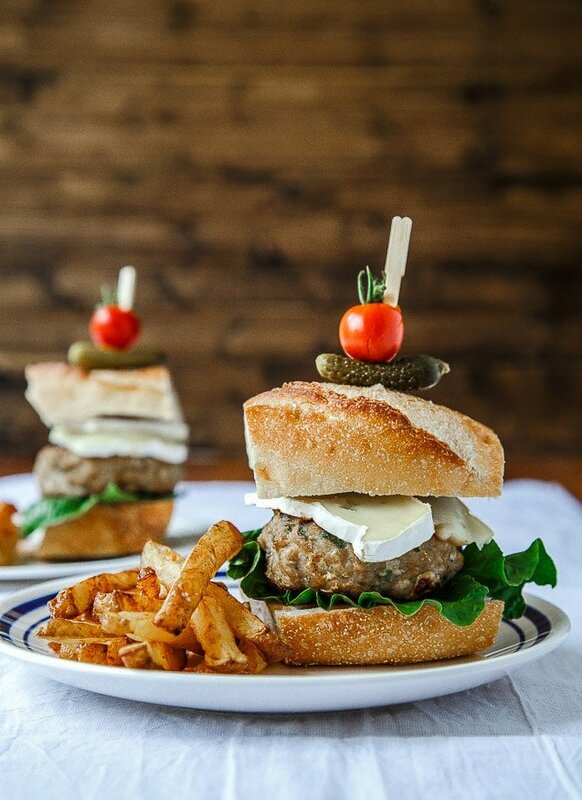 French Burgers and French Fries is such a fun romantic dinner for two. You wanna get fancy? Ok, I won’t ask you to buy a whole lobster, transport it home and cook it. That’s scary, ok? 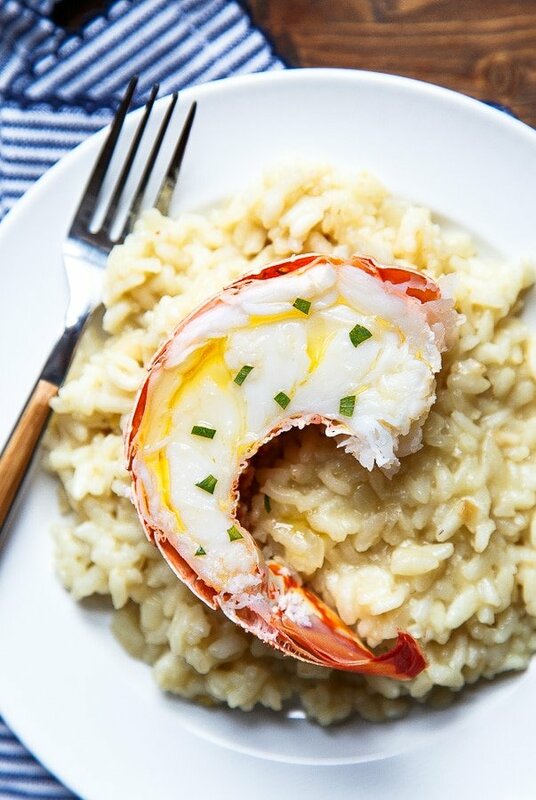 Buy the frozen tails, and this Lobster Risotto for Two comes together so easily! Ok, that’s it! Try these romantic meals for two at home this Valentine’s Day and let me know how it goes! 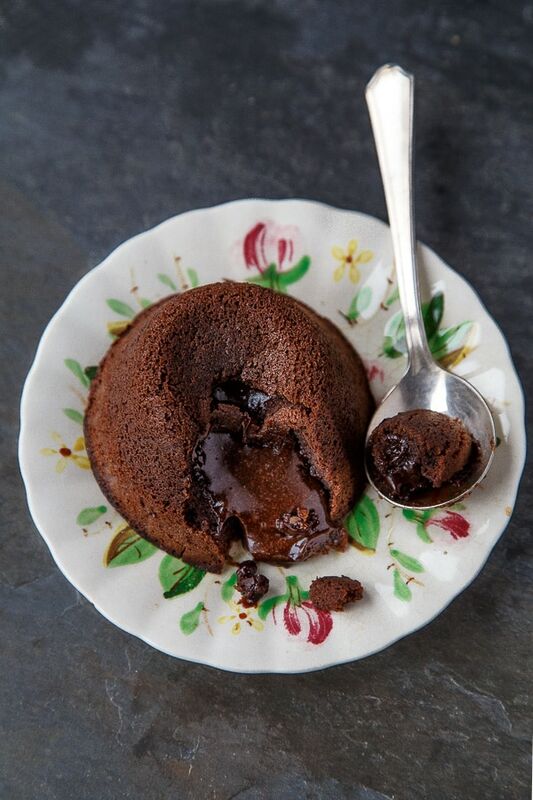 Can I suggest chocolate lava cakes for two for dessert? I like the idea of staying in and making homemade dinner for two. your engagement pasta or that risotto is calling my name! I love the idea of a dessert pairing! Thank you for sharing all these delicious meals for 2 + the dessert idea! My 14-carat-three-layer cake is sublime, but requires an army of cake lovers to finish. It is my husband’s favorite birthday cake. But I read reviews. My understanding is that the baking soda in carrot cake softens the carrots. So I wondered about a cake with no baking soda and no baking powder. But I read on and am intrigued with this web site. I love, love, love cooking for two. I will be tying some of these recipes when we return. But I did get an idea for dessert in our room. I will review my chocolate mousse recipe two see if it works to reduce it or use the one on this site. I am into using orange flavors in cooking right now, and I have a bar of dark chocolate with orange. Only 3.5 ounces, but will add other chocolate. Pure orange extract in the whipping cream or in a raspberry sauce might be nice. When we get home, I will try some of these recipes. Have a great Valentine’s Day, Lorraine!